The IQF line of fruits and vegetables is as broad as the alphabet, from avocado to zucchini. 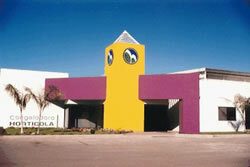 Growing seasons in Mexico are counter-cyclical to the United States, meaning products can be readily available at times when they would be unavailable domestically. 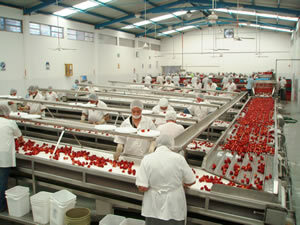 By having plants that pack the same items in various areas of Mexico, production is diversified and risks related to weather issues are reduced. Although IQF supplies many different fruits and vegetables, strawberries are their signature product. With nearly 60 years of combined experience in the Mexican frozen strawberry industry, it is safe to say that IQF knows more about them than anyone else—and imports more of them, too. Interamerican Quality Foods is proud to be the official sales office of Congeladora Hortícola (CH Foods), Mexico’s premier packer of bell pepper, squash, zucchini and jalapeños. 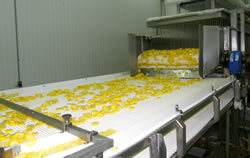 The plant is strategically located just south of the Mexico/Arizona border, right in the heart of the growing region. CH Foods packs vegetables from November through June, allowing customers to purchase their quality products off-line, eliminating storage costs through the winter and spring.